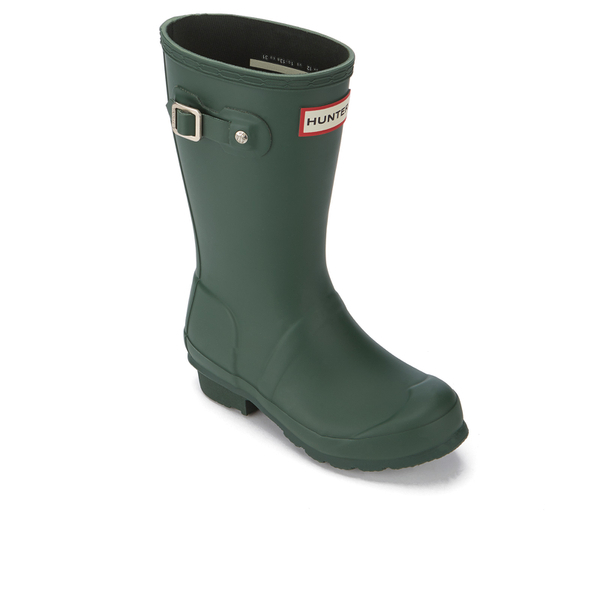 Kids’ 'Original Wellies' in traditional green from Hunter. 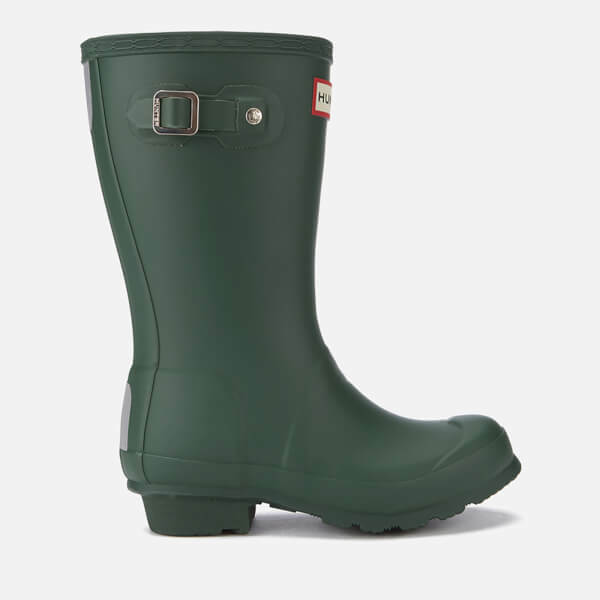 Crafted from waterproof vulcanised rubber and offering a comfortable, orthopaedic fit, the boots comprise a quick-dry knitted nylon lining and cushioned sponge insoles. 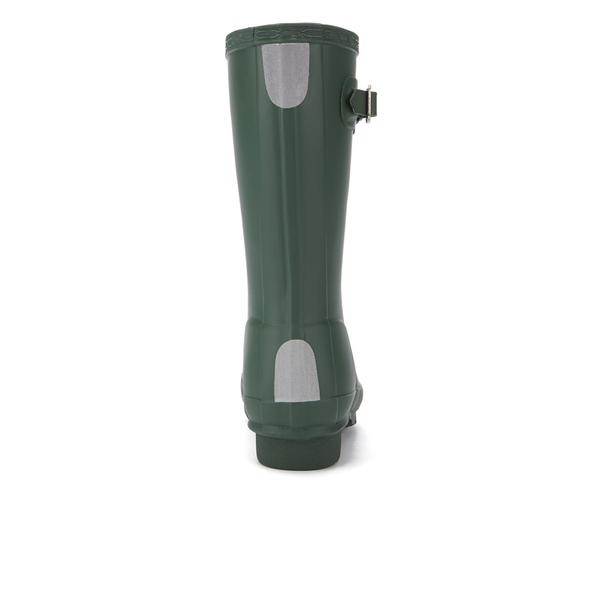 Practical and stylish, the wellington boots are reinforced with a traditional calendered sole and buckle detail to the shaft. 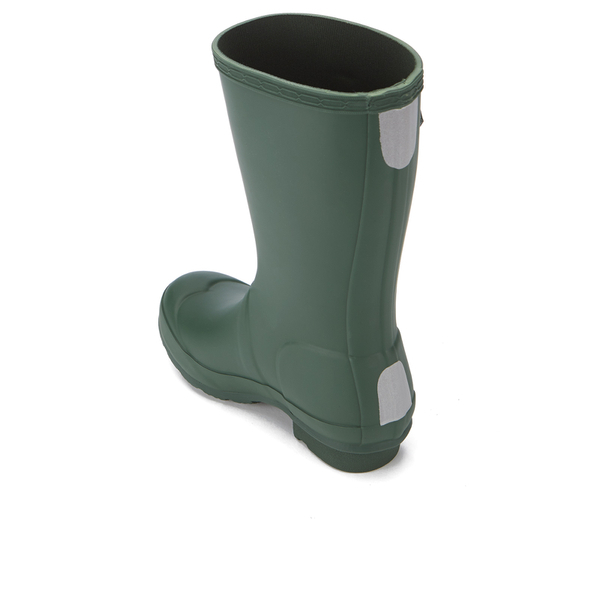 Reflective back panels add an element of safety. 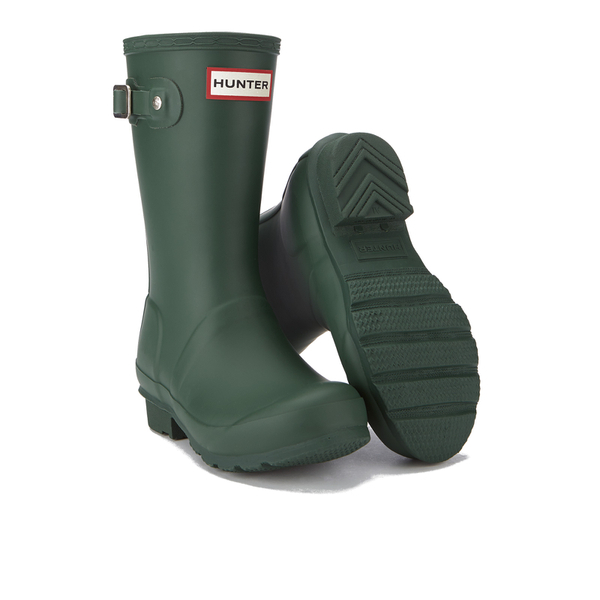 The boots are complete with signature qualities, a matte finish, moulded lines and the Hunter logo to the front.